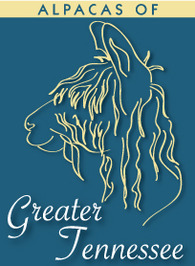 Kimi`s fleece is best described with three words: Luster, Luster, Luster! 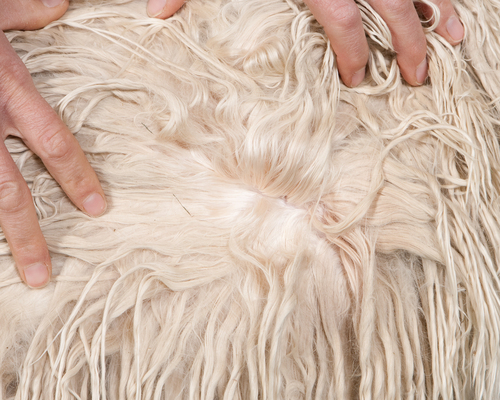 Typical of many Inca offspring in addition to extreme luster her fleece exhibits a greasy soft handle, coupled with fineness and uniformity. 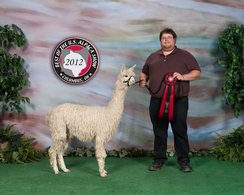 Kimi's First baby took a Reserve Champion as a shorn fawn yearling female at the CABO 2010 show. Kimi just gave us the most adorable white female. 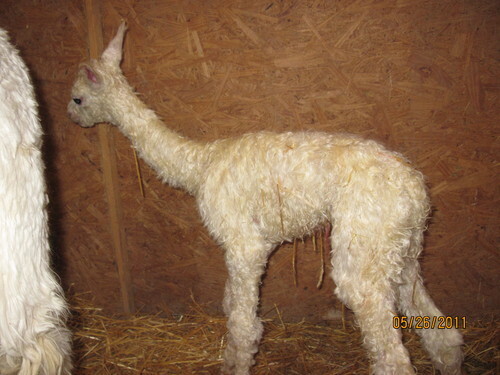 She is a strong girl, and was up standing and nursing 15 minutes after birth. She is a very large boned female. 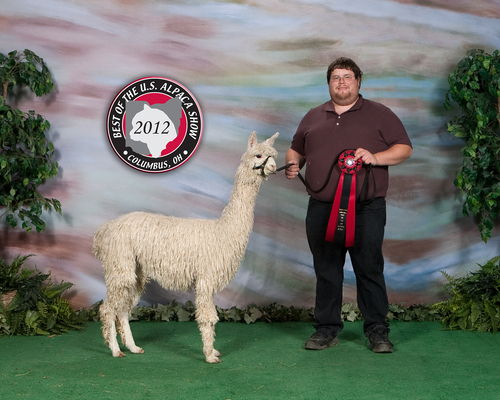 Her fleece coverage is great, and she has a loving personality just like her daddy. 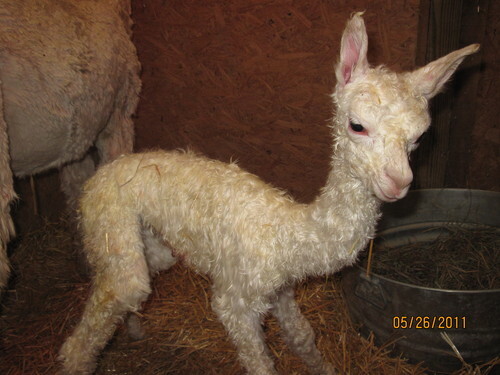 At 19.2 lbs birthweight, this little girl is one of our heavier crias we have had born.